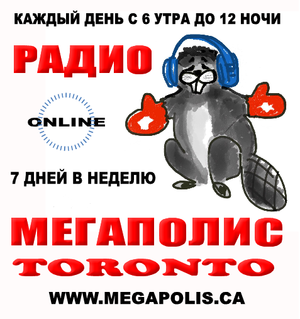 is to foster the preservation and evolution of Russian culture and language in the context of the Canadian multicultural reality. I wish to share with you the joy I am experiencing celebrating a significant date: the 60th anniversary of the founding of the Russian Canadian Cultural Aid Society! We dedicate the entire issue of our magazine to this jubilee, publishing a large amount of documents and photographs, which illustrate the journey that we travelled. Хочется с Вами поделиться радостью, которую мы переживаем, отмечая знаменательную дату – 60-летие основания Русского Культурно-Просветительного Общества! Этой юбилейной дате мы посвящаем весь номер нашего журнала, помещая большое количество документального материала и фотографий, отражающих пройденный нами путь. The Russian Canadian Heritage Foundation of Maria Blagoveshchensky has been registered as a charity because it advances religion by teaching the religious tenets, doctrines and culture associated with Russian Orthodox faith, and advances education by increasing the public’s understanding and appreciation of the arts, through the prevision of artistic performances and seminars. Copyright © 2019 RCCHF & www.jweb.ca. All Rights Reserved. Designed by www.jweb.ca.